Blogging is now a passion for all the people. Some use it for their personal lifestyle, some go professional, some people blog to get their pocket money. But it’s not always possible to post or manage your blog from a computer. So here are the 5 best Blogging Apps for Bloggers. Wordpress.org is the most used blogging CMS on web. Wordpress recently launched its Android App on the Android marketplace to have its users use it on mobile. You can do everything from the App. So what are you waiting for, get it from the Android Marketplace. Google's blogger is one of the most used platform for simple blogs. Make everything out of your blogger blog from your mobile phone. 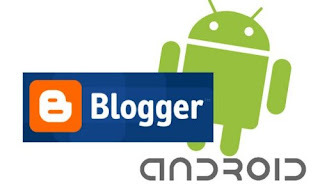 Get the app for your Android Phone and start posting your Blogger Blog. Check your blog or website's analytics anywhere from your Android Device. Get the G-Analytics app is still in it's beta version and soon will be adding much more features. The app supports charts, secure login with android account manager, Current Stats etc..
As every blogger, you too would be earning from your blog from Google Adsense. So start checking your Adsense Estimated Earnings, Finalized Earnings, Page RPM anywhere with this app.